All the photos below are from the web site of Croatian Football Federation (Hrvatski nogometni savez), slightly trimmed and considerably reduced in size. Many more can be seen by following the above link. 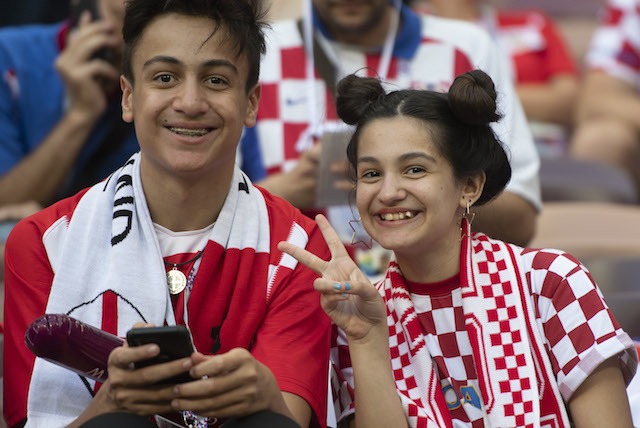 The photos below correspond to various events related to the 2018 FIFA World Cup. Marcelo Brozović with his daughter. 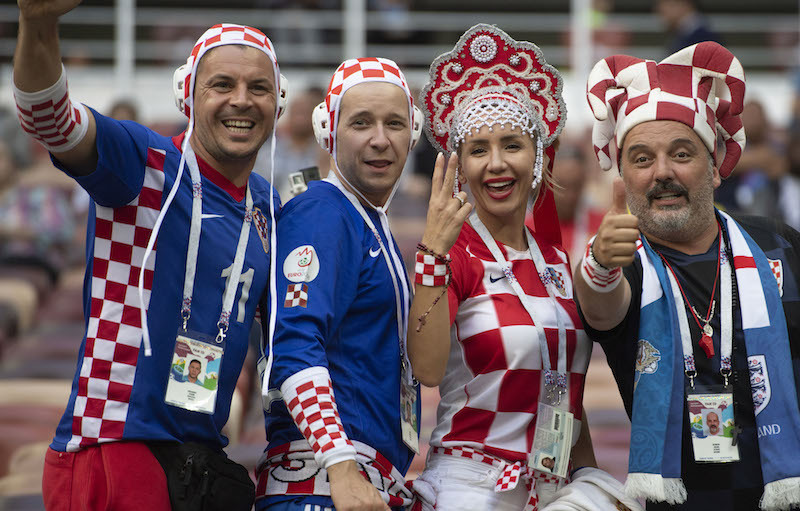 See a lady wearing Croatian jersey and a nice Russian folklore crown. On the right Croatian singer Tony Cetinski. 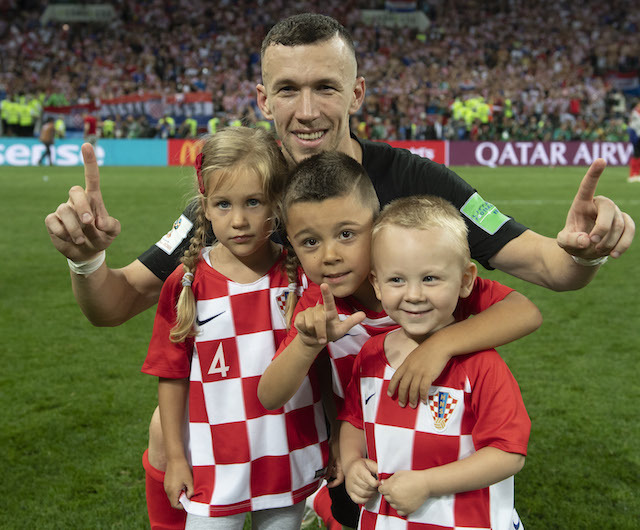 Ivan Perišić with a bunch of children. In the middle is his own son. 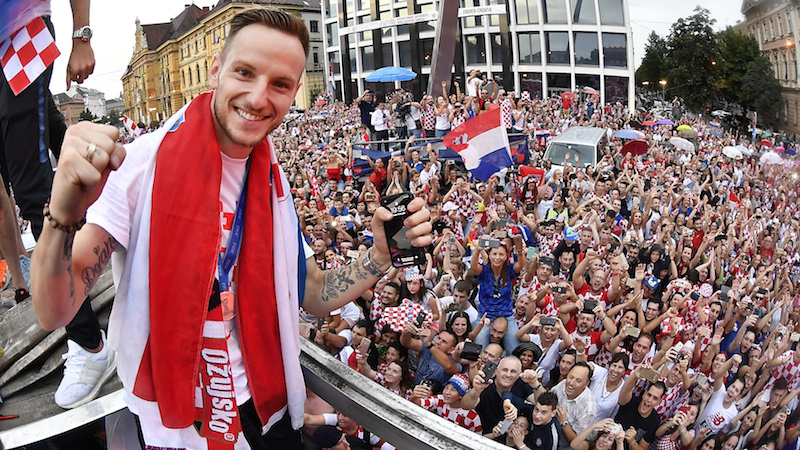 Ivan Rakitić in front of the building of the Academy of Music of the University of Zagreb. On the left to it is the Museum of Arts and Crafts on the Square of the Republic of Croatia. 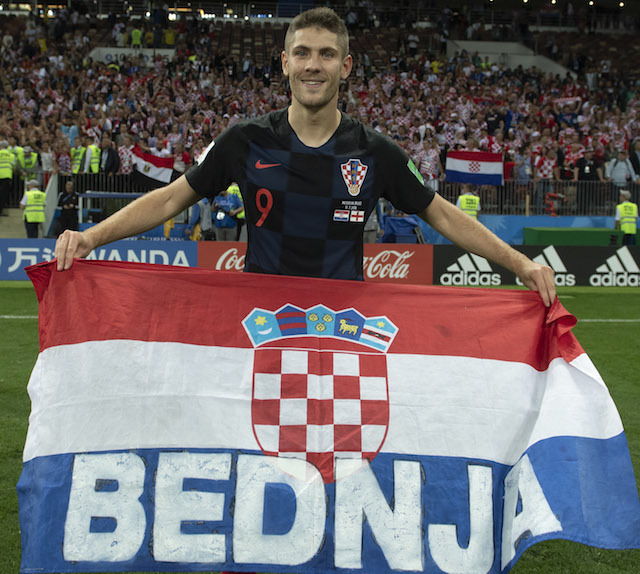 Andrej Kramarić originates from the region of Bednja on the north of Croatian capital Zagreb, known for its extremely difficult Croatian dialect. We believe that even our Welsh friends would be surprised with this speech. See the interactive map of Croatian dialects. Or, you may prefer a lovely Makeup tutotiral in Bednja speech. and the security of the whole Croatian football representation. but on this occasion the bus travel took four and a half hours! 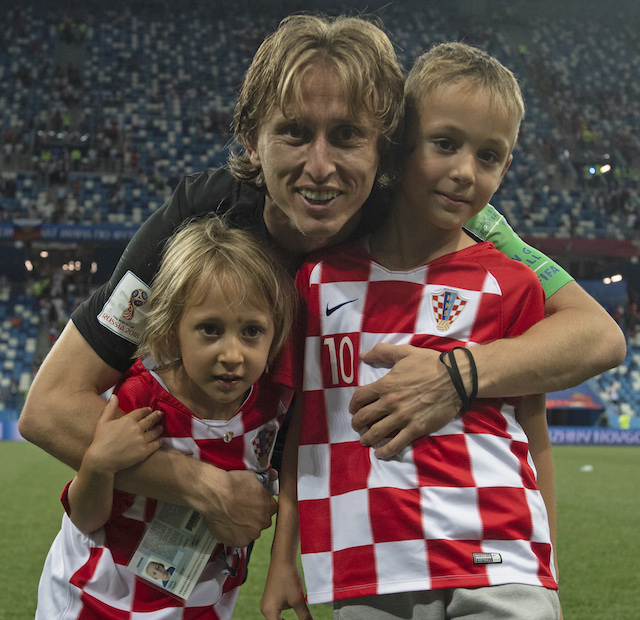 Luka Modrić with his children. Mrs. Kolinda Grabar Kitarović, president of the Republic of Croatia, in the middle on the right of Luka Modrić and Davor Šuker. Luka Modrić celebrating with his beloved wife Vanja Bosnić. 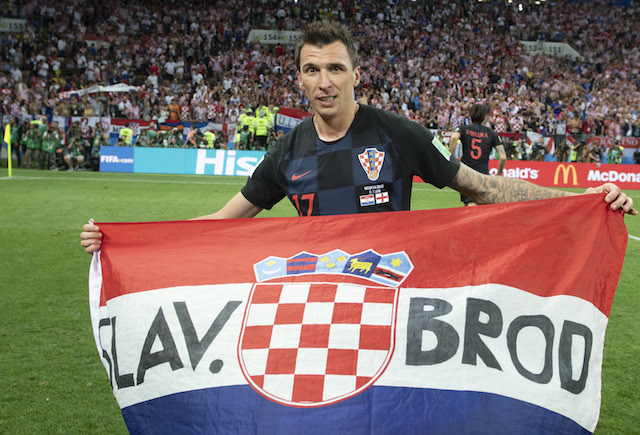 Mario Mandžukić with a flag of his native town of Slavonski Brod in Croatia. The greatest Croatian and American ballerina in history, Mia Čorak Slavenska, was also born in this town. The town has a very interesting TAMBURA MUSEUM, unique in the world. Marko Perković-Thompson singing one of his anthological songs - Lijepa li si (You are Beautiful). containing the Cross of St. Benedict, a protector of Europe. Luka Modrić, taking care about security of Domagoj Vida, on the top of the bus. The bus was carefully driven by Mrs. Nikolina Žiljak. 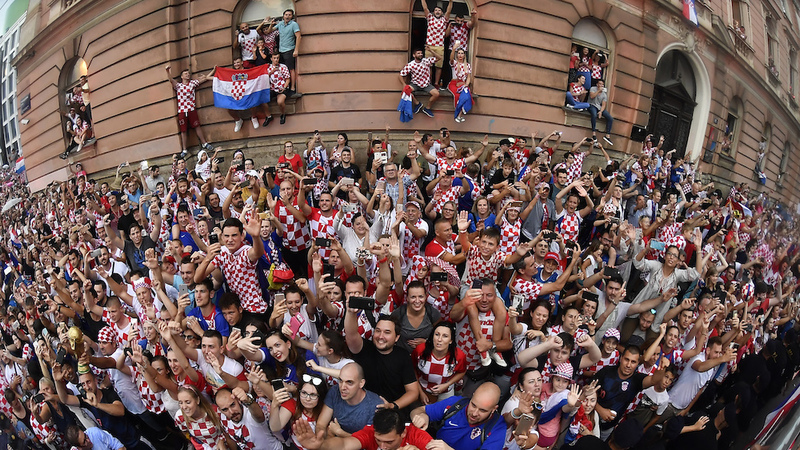 Domagoj Vida, Šime Vrsaljko and Luka Modrić on the top of the bus, driven by Mrs. Nikolina Žiljak. 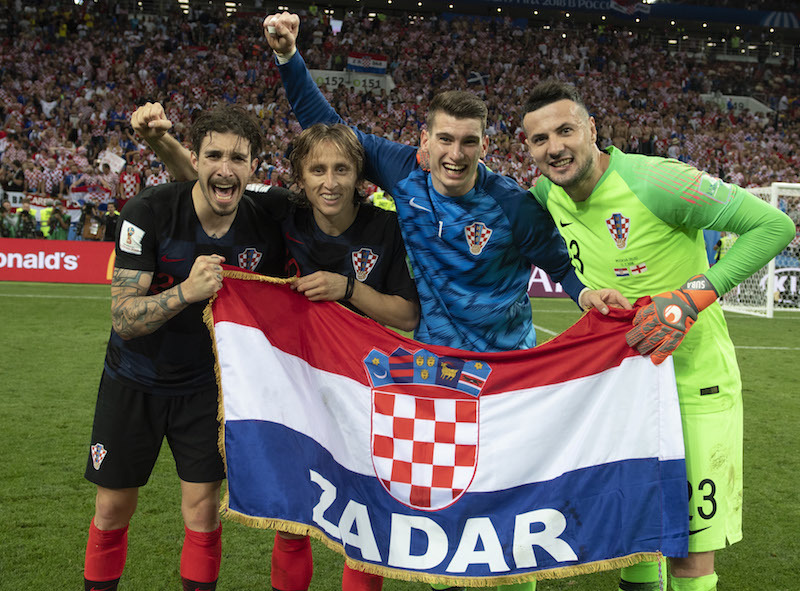 Šime Vrsaljko, Luka Modrić, Dominik Livaković and Danijel Subašić. A view from the top of the bus, driven by Mrs. Nikolina Žiljak. 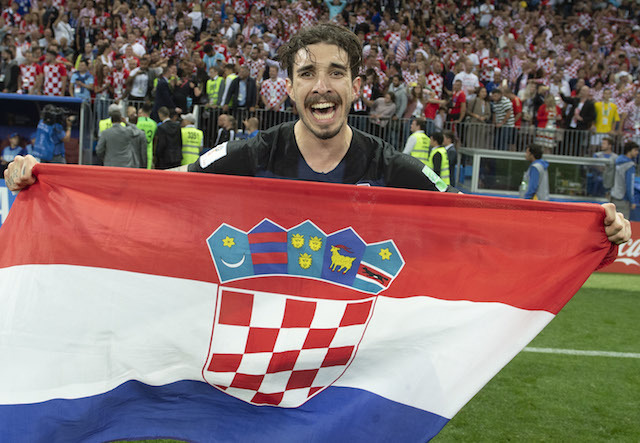 Many thanks to Croatian Football Federation (Hrvatski nogometni savez) for providing the above photos on their web-pages. Croatian couple and son walking through the streets of Brussels. Their reaction is PRICELESS! 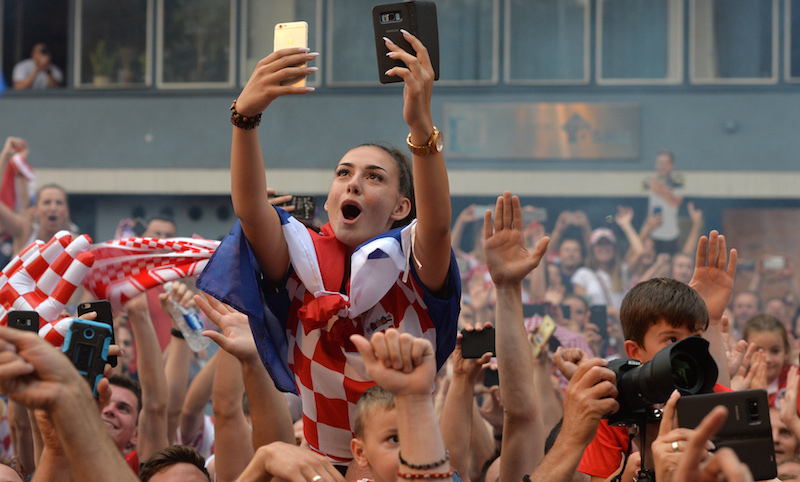 Lucy Zelic gets emotional discussing Croatia's historic World Cup final appearance. On the right Craig Foster, former Australian football star. SBS TV - Australia. Zlatko Dalić spent his youth. The above video describes this important cultural and spiritual institution.